One year ago today Phill Walden passed away. Whatever you might have thought of him as a person, businessman, or a even a friend, remember that he was THE pioneer who brought forth and gathered together the groups that made Southern Music come alive again. Without his vision, we would most likely still be listening to British Pop Rock rather than songs such as Liz Reed, Ramblin Man, and many others. Rest in peace, Phil. Thank you. To paraphrase Dickey, "What a ride." I can't believe it's been a whole year. I just doesn't seem like that long ago we were in Atlanta at his funeral. And for those of you who missed my post at the time....the only Brother to show up at his funeral was Dickey. I really respect him for that. I'd say RIP, but knowing Phil, he's been busy putting a really amazing band together up there! My sentiments exactly, Ann! Can't believe it's been a year already! Thanks for posting that Big Ann, I never knew that bit of trivia, it makes me respect Dickey even more, he might have his demons but his heart has always been in the right place. Things could have turned out so differently without that man. Dickey showed his true colors, his loyalty and his love for the man that made all THIS possible. Quote "I HAD to do this for Phil, man". Chuck came to the ceremony at the cemetary. RIP Phil, and know that we are eternally grateful. Phil was the catalyst, Duane was the accelerant. 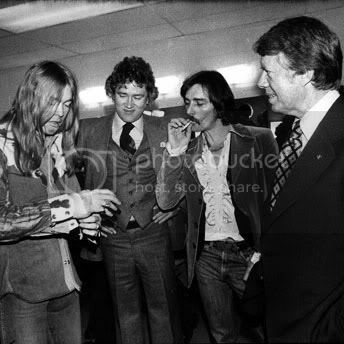 Without Phil's faith in a skinny young guitarist named Duane Allman, none of us would be here posting in these forums. Thank you, Phil. May you R.I.P. nlitndrog, you're a member of the Georgia Legislature? or a staff member? I bet you were instrumental in the renaming of Duane Allman Blvd. and Berry Oakley Bridge. If you were, much thanks. 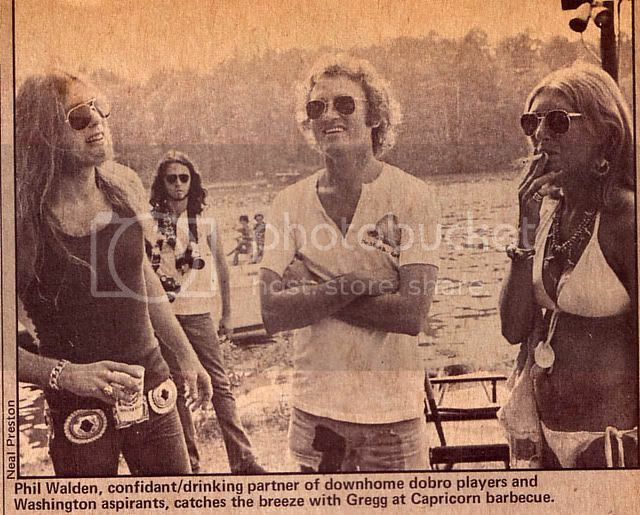 Dickey was the only original member there, but Galadrielle was also there and read a very touching letter from Gregg. Little Richard gave a eulogy. Chuck was at the interment. That shirt Phil is wearing at Lakeside was for Eat A Peach, they came in long and short sleeve. I've still got mine somewhere at home. People talk about hittin' bottom when they're in recovery. I hit bottom when Phil passed but with the help of God and true friends, I've come to realize, I still have two strongs legs and wings to fly. Thanks, Phil, for the gift of beautiful music in 1969 and being the catalyst for me to get my life back in 2006. I still have the music and always will. Sending smiles and gratitude to Mr. Walden. well lizzy.......here's to hoping you (and i) are done digging. Phil seemed like a stand up kinda guy, and left lots of good friends who speak highly of him. You're right....and the band sent flowers as did Gregg. Yes, on two counts. I'm an attorney (please don't hold it against me) for the General Assembly. And I did write the resolution honoring the band and naming the Blvd. after Duane and the Bridge after Berry. VERY cool !! I assume y'all and Mama Louise are already at work renaming a portion of Cotton Ave. for Phil? ....and any help preserving Capricorn Studios would be appreciated. I understand Mercer bought the property.